What are your thoughts on adult coloring books? Whether you love them or hate them, it seems like the interest in coloring will not be waning any time soon. Many people – both kids and adults – find coloring to be an enjoyable activity, finding that it calms their stress while allowing them to feel proud of their creative accomplishment. I believe that art therapists (and other creative therapists) should consider how coloring can be included in our therapeutic work – recognizing that it has both benefits and limitations. Personally, when the adult coloring book phenomenon really exploded a few years ago, I was reluctant to bring them in to my clinical work. I was often annoyed to see the term “art therapy” showing up on coloring books covers, didn’t really enjoy coloring books personally, and assumed that in a therapy setting they would only serve to get in the way of clients creating “real” art. My acceptance and appreciation of the role of coloring has come about through small steps over the past few years. 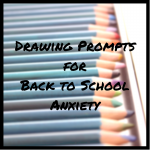 In the past, I had made coloring pages available for kids, but not during therapy. 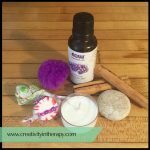 They were enjoyed during free time by kids in residential treatment and later in an outpatient setting I would give one out at the end of session as a small reward. Later, in thinking about how to create a more soothing, welcoming waiting room for my private practice, I decided to add markers, colored pencils, and coloring book pages for clients and parents to do while they waited. 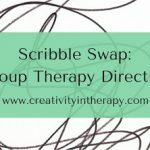 At times, these pages would migrate into sessions, giving a client something to do with their hands while they talked or providing for a self-soothing activity before or after exploring something different. Around the same time, coloring pages had shown up in the inpatient/PHP facility where I did art therapy groups. Although initially provided by staff (or brought by patients themselves) so that they could have a relaxing activity during downtime, the coloring pages would be frequently requested or brought in to art therapy sessions – often by clients who were reluctant to do any other art activity. Over time, I began to see benefit in having coloring book pages available as part of my art therapy practice, thinking more about how I could use them in a thoughtful, supportive way with clients. Coloring book myth #2 – Coloring books lead to mindfulness. There is nothing inherently mindful about coloring. Instead, because it be done without much thought or concentration, it is very easy for coloring to become mindless. Your mind can wander while your hand continues to color. While the repetitive action of coloring may still be relaxing or soothing, it is not actually mindful if your mind is not engaged and aware. Most activities in our lives can be done either mindfully or mindlessly. So, yes, you can engage in mindful coloring, but we must recognize that it is not the activity that is mindful, it is the way in which you engage in it. Coloring book myth #3 – Coloring does not allow for any creativity, self-expression, or insight. This one was my own personal misconception about coloring books and a big part of why I was reluctant to include coloring in therapy. However, I have now seen many examples of how clients can respond to the structure of a coloring page in a way that is creative, personal, expressive, and meaningful. In my groups and individual sessions, client have shared about selecting certain symbols or designs to color because of a personal connection, discussed how their chosen colors reflected different emotions they are currently experiencing, and gained insight through exploring their personal art process in completing the coloring page. Clients (and research participants in the studies referenced below) often report that they feel that they have been creative in working on their coloring page. Coloring may not involve the same level of creativity or personal expression as original art, but that does not mean it is completely lacking creativity. 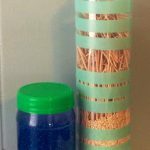 Self-soothing and relaxation – In therapy we may want to introduce clients to an activity that can be soothing, so that they are better able to relax and regulate emotions both at home and in session. Coloring is thought to have a soothing effect because of the rhythmic repetition involved in the coloring motion, which some people experience as similar to a meditative state. It is also believed that more structured art activities are better for lowering stress and coloring book pages offer a great amount of structure. In therapy, we may have clients who come in with heightened anxiety and need an activity to help them calm down before engaging further in the session, others may need to be learning self-soothing tools to manage frequent distress and arousal (e.g., as a result of trauma), or they may need an activity to help them regulate emotions at the end of a difficult session. Distraction from negative emotions – Art can be used to both express emotions and distract us from them, so therapists can gauge which may be more helpful in a given situation and guide the client toward an appropriate activity. Coloring seems to help as a way to distract. If someone is able to focus their attention on the coloring page, and not on the negative thoughts and feelings, they often experience a decrease in anxiety, sadness, and other uncomfortable emotions. More complex and engaging coloring seems to be more effective for distraction, so therapists should keep that in mind when offering coloring page options. Like self-soothing and relaxation, an activity that helps clients turn away from negative thoughts or trauma memories may be helpful as a way to close a challenging session. 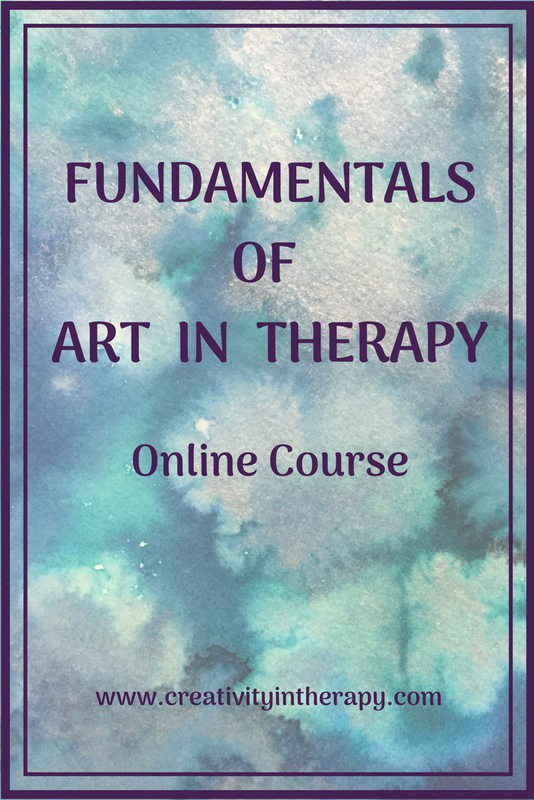 As a “safe” form of art and a bridge to other types of art-making – Art therapists often need to be able to work with clients who are not comfortable doing art or are hesitant about trying art therapy. 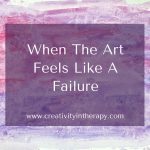 Personally, I encounter this in the inpatient and PHP setting while facilitating art therapy groups that include patients who have a lot of discomfort or anxiety with art. At times there are people who walk out of group, get overly anxious, or just sit and don’t engage if they are expected to do an art directive. Providing the option of coloring pages allows these patients to find a way to stay in group and participate through a form of art that feels safer to them. The structure and safety of a coloring book may be a more accessible way for some people to begin to connect with their inner creativity, rather than jumping straight into original art-making which can often feel intimidating and anxiety-provoking for people who do not consider themselves to be artistic. As they get more comfortable using art materials, see the examples of others, and begin to connect with their creative self, they are often ready to try new types of art in the future. One way that I make this bridge is by encouraging clients who have been coloring mandalas to try drawing their own mandala on a page with pre-drawn circles. I have also often heard patients mention that they began coloring for relaxation and then decided to start exploring other types of art, both in therapy and for self-care. Creating a sense of accomplishment and pride – One of the benefits that comes from art-making in art therapy is the sense of mastery and accomplishment that clients feel from completing a creative project. Although not a fully original creation, many client feels very proud of their completed coloring pages, especially if they have not considered themselves to be traditionally “artistic.” The structure of a coloring book and the beautiful intricacy of many of the designs help people to have an enjoyable experience and feel pleased with their final product. As a tool to explore process – In art therapy, exploring the art-making process is often more important that the content. If clients are working on coloring pages in group therapy or individual sessions, you can still explore their process of engagement with the art and their thoughts and feelings that come up during coloring. Some will notice that voice of judgment and inner critic as they work on their coloring page, feeling frustrated or comparing it to others. Others may benefit from noticing where their mind goes as it starts to wander during coloring, acknowledging the concerns and stresses that intrude. 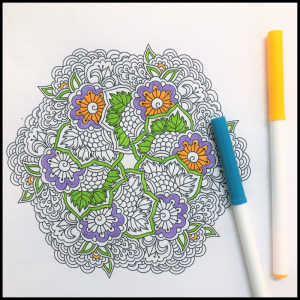 Some clients have discussed noticing how relaxing it is to color and then explored what keeps them from doing this type of positive coping and self-care when they are at home. 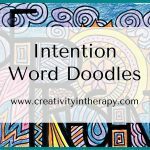 Therapists may also want to explore with clients what thoughts and feelings lead to their choice of doing coloring pages instead of original art. Rapport building and parallel art-making – Therapists often think about the importance of meeting our clients where they are. Although art-making can allow a safe, none-verbal way to communicate, for some clients this still feels to challenging at art. Some clients need time to feel that they can trust the therapist and be able to open up. In my own practice I see this often with young children in foster care. Through child-led art and play, the children are able to form an attachment with the therapist, learn to trust them, and then begin to open up. I believe that coloring books can be one of the (many) options available for kids who need to start with play and art that help them feel safe in the therapy room. Coloring is also an activity that is easy for the therapist to engage in with the client. We often need to be careful about doing art alongside clients, but coloring books are one option for parallel art-making. 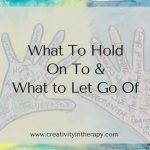 As I have sat beside guarded and withdrawn children, coloring together, I have also seen them be able to relax, start to trust, and then open up. Coloring pages certainly have their limitations and should not be considered equivalent to art therapy as a whole, but I think it’s valuable for therapists to be aware of how and when they may be a helpful tool for our clients. 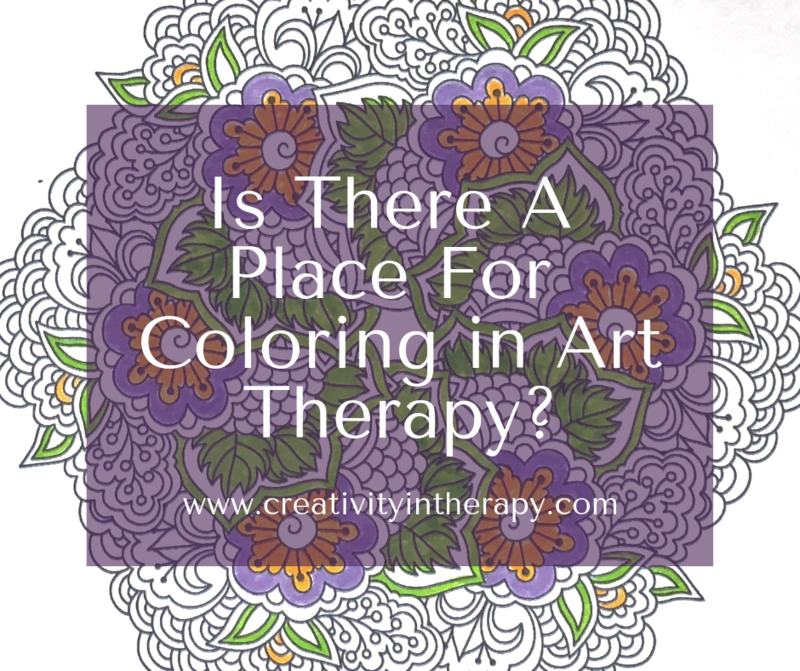 Whether coloring is used as self-care homework, brought into group therapy by patients, or incorporated into therapy sessions, I believe there is a place for it in the wide spectrum of art activities that we use in art therapy. Let me know your thoughts! Do you use coloring in therapy? How do you feel about the rise of adult coloring for self-care and relaxation? Share your comments below. Thank you to Rebecca Wilkinson for leading her focus group at the 2018 AATA Conference on this topic and sharing some great thoughts on why art therapists should consider using coloring books. 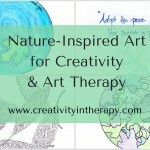 Check out her book Positive Art Therapy Theory and Practice or learn more about her work at Creative Wellbeing Workshops. Hi Cristina. I experience the same thing – it’s so easy to forget about ideas and activities until something reminds us of them. Glad the blog can be a reminder and inspiration for you. That looks like an interesting book! I love the idea of pairing coloring with actually teaching mindfulness and breathing. It seems like a fun way to encourage kids to engage with the book and ideas. Wish the book listing showed me a sneak peak inside because now I’m curious. I super appreciate this post. The timing is perfect. I am preparing for week two of my Mindfulness & Creativity Group. I am planning Adult Coloring and have books to offer. I appreciate the suggestion to offer free drawing at the same time as the books. I had planned to do that on another day, but I see the benefit now of offering both at the same time. Thank you also, for validating my own experience with coloring. Thank you for sharing your extensive knowledge and experience! Hello Bonnie. Glad it was helpful! 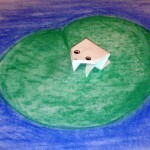 I agree that encouraging free drawing, but offering coloring as another option, may be best. Hi Amber! Thanks for sharing your thoughts. Hello Carolyn, Thank you for covering this topic. I’ve been considering offering coloring pages as a coping tool for the elementary aged children I see. I’m a school-based therapist. My concern, particularly for the youngest children, is the designs are too intricate for little hands that color outside of the lines. I want the activity to be relaxing rather than challenging for them. Do you know of any free coloring pages of designs I can get online that would suit younger children? Yes, that’s definitely a challenge when the design are too intricate…both for kids and some adults. I recommend searching online for “free mandala coloring pages.” There are numerous options and you could definitely find several options that are not too detailed. Many (older) kids also like the coloring pages that have quotes and motivational sayings. There are a few websites that have free printables for those as well.